First impressions can last, as was the case with the new Vauxhall Grandland X, writes Robin Roberts. We liked it when driven at the UK launch in October and now the first models are getting into customers hands with rave reviews and awards being scooped up along the way. It’s easy to see why it’s done so well. 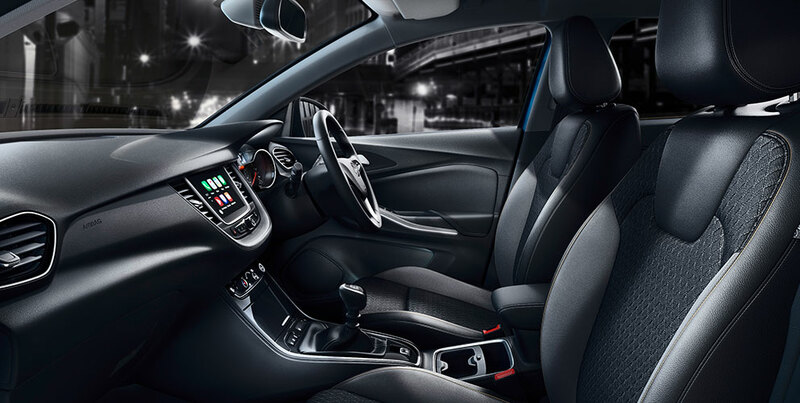 Vauxhall Grandland X is very carefully specified over its 17-model range in four main trim levels and a solus Ultimate range-topper. The common five-door bodystyle comes with a choice of 130ps 1.2 petrol or 120ps 1.6 diesel engines, and the Ultimate’ 177ps 2.0 D, with 6sp manual or automatic gearboxes. Prices at time of writing rise from £22,310 to £33,995. Related to the Peugeot 3008 before the French company acquired Vauxhall last year, the Grandland X adds to the range with the Griffin badge and delivers a family friendly and roomy model with a lot of practicality. 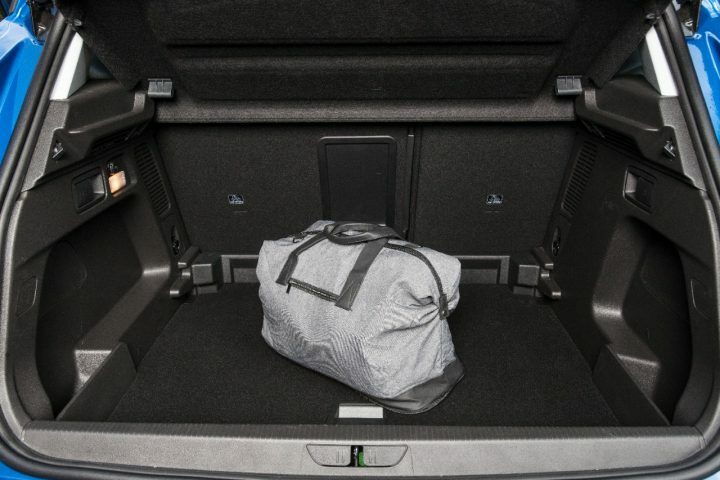 There is a big boot when all seats are in use but quickly folding down the back pair more than doubles capacity and access is good to the loadbed or into the cabin. 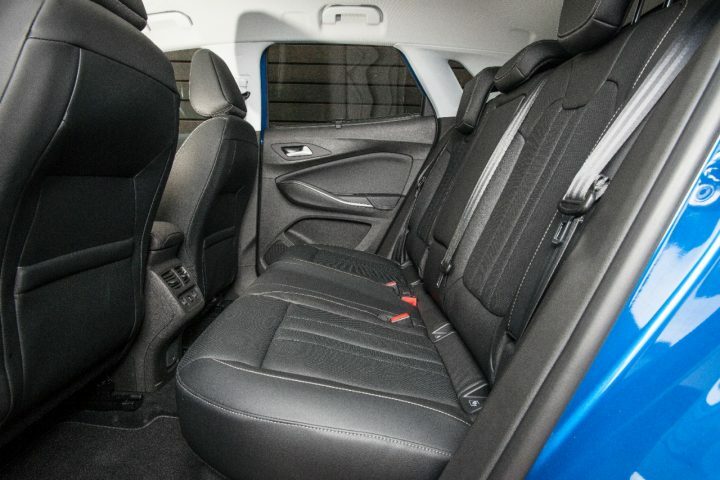 Perhaps annoyingly for some it is only a five-seater with no very occasional seats dropped into the back floor, but it does mean this is a very generous five-seater with lots of legroom and headroom as well. Families will like the seven-point wifi IntelliLink connectivity throughout and the high quality audio system and easy to use infotainment controls while the driver will appreciate the straightforward selection and big essential dials infront. Oddments room was good throughout. Secondary controls are well placed and it has good heating and ventilation throughout backed up by powered windows. I liked the front wipers, the small rear one struggled to clear the constantly road-caked back window, but the headlights were good. You have a blindspot behind the c-pillar and under the high-waisted back window but sensors cover to a point. Up front, the well proven busy three-cylinder 1.2 litre turbo-petrol engine delivers good performance when used solo or with a passenger but with a full load it struggled at times and you needed to use the gearbox much more. Our overall fuel economy was comfortably beyond 50mpg but use that box and run in traffic and it fell away to mid-40s. It’s not quick from standstill but steady and sounds unstressed most of the time with a pleasant hum when cruising. Clutch is long travel but the gearbox is short-throw and direct with some well-matched ratios to make the most of the available performance. 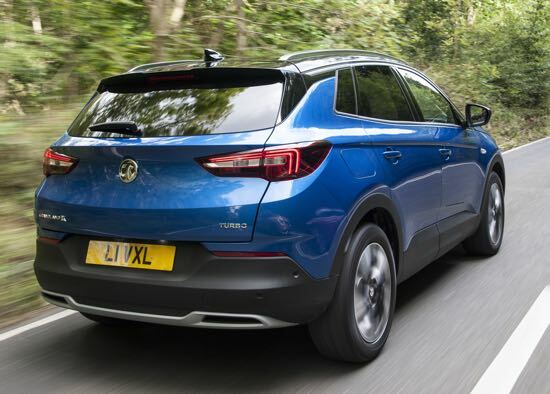 Vauxhall engineers have selected different spring and damper rates for the Grandland X over the sister Peugeot 3008 so it feels a bit tauter and more agile. Ride quality is still good and you can hear it dispensing with dips and tarmac ridges without too much trouble although it did struggle a bit with deeper potholes. The handling was entirely safe and predictable with some body roll and well controlled pitching and dipping, it steered faithfully and effortlessly and the brakes easily managed the deceleration or held it on a steep slope. 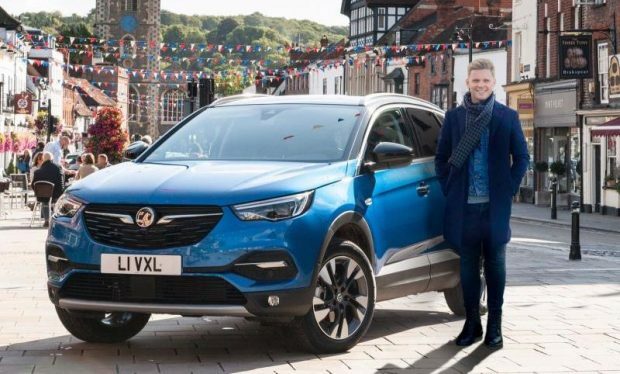 Vauxhall is confident the Grandland X will become their second best seller after Corsa as the previous family favourite Astra like so many of the hatchbacks is losing out in the relentless sweep of the SUVs. Offering room and a ready to take on all-comers practicality I can see it achieving that with some clever pricing. Against: Some visibility issues, only five-seats, might struggle with heavy load.